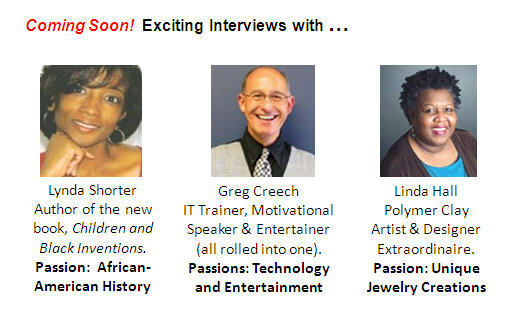 For her first show for Pursuing Their Passion, Donna interviewed the amazing jazz singer, Joanne Smith. They talked about Joanne's love for singing and how she is not letting a full-time job and family responsibilities keep her from pursuing that passion. This interview will inspire and motivate you to find and follow your passion, regardless of what you think is standing in your way. to find out more about her as well as hear her fabulous voice. More interviews will be posted shortly.